When dentures do not fit properly, sores and pain can result. 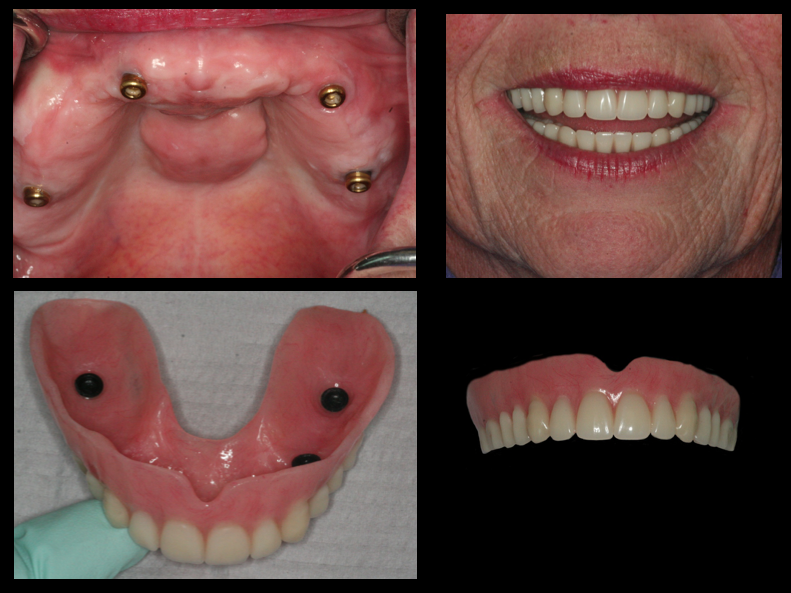 One option is to have dentures that stay solidly in place by snapping into dental implants. Four dental implants in the upper arch and two to four dental implants in the lower arch are placed. The implants have an attachment on them that snaps into an attachment inside of the denture. This can eliminate the need to have plastic or acrylic across the roof of the mouth making for a more comfortable and stable denture. Since the dentures can be removed, cleaning around the implants is easy. Naturally, you are not without teeth during treatment. Bruce B. Wiland, DDS provides dental implants in Indianapolis, IN and surrounding areas.